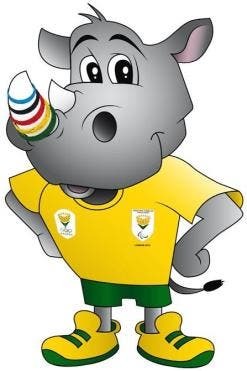 Team South Africa’s mascot for the 2012 London Olympic Games is Chukuru, a rhino. 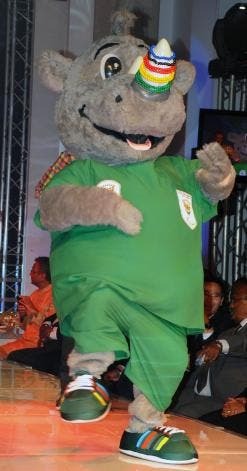 The animal was introduced to the nation at a function in Johannesburg, during which Team SA’s official kit was shown off on the catwalk by some of the country’s Olympic and Paralympic hopefuls, including swimmers Cameron van der Burgh and Natalie du Toit, javelin champion Zanele Situ, and long jumper Khotso Mokoena. The South African Sports Confederation and Olympic Committee (Sascoc) announced that the gear would be made by Erke, one of China’s leading sportswear manufacturers. According to Sascoc CEO Tubby Reddy, the organisation approached local manufacturers first but were unable to come to an arrangement with them. The Erke deal is reported to be worth US$4-million (R30-million), and includes tracksuits, golf shirts, t-shirts, sandals, caps, backpacks, towels and more. All items bear the protea, South Africa’s national flower and the main symbol of the Sascoc logo. “Our athletes must feel not only comfortable and at home in their kit but also extremely proud and honoured whether they wear it in or out of competition,” said Reddy. The athletic models were impressed with the quality of the Erke product, saying that it’s light, breathable and comfortable. The rhino Chukuru, with five other finalists, took part in a week-long countrywide voting process to decide the nation’s favourite. 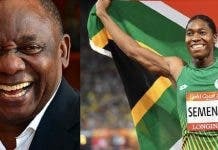 It will inspire Team SA in all multi-coded sporting events from the Olympics onwards. These include the 2013 World Games in Columbia, the 2014 Commonwealth Games in Scotland, the 2015 All Africa Games, and the 2016 Summer Olympics in Rio de Janeiro. 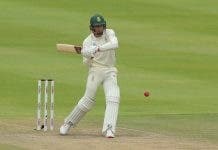 Sascoc says it plans to create a national identity for events such as these, and this strategy includes having the same mascot for international tournaments, to bring the country together behind Team SA. The name chukuru is a Southern African word for rhinoceros, in the Setswana language. The Sascoc mascot features the five colours of the Olympic rings around its horn, but fittingly these are also the colours of the South African flag. The cheerful animal was designed by the Johannesburg-based Mortimer Harvey advertising agency, and saw off competition from over 100 entries to make it to the final six and then claim top spot, winning by a margin of 233 over its closest rival. Codesigner Prudence Tshikalange was elated, saying that the design team was “honoured and humbled”. Mortimer Harvey also hopes that the national sporting mascot will raise awareness about the poaching crisis affecting real-life rhinos. With almost 160 animals already killed for their horns in South Africa alone in the first quarter of 2012, and reports of even rhino exhibits being vandalised for the horns, there is a growing worldwide call for toughter action against and harsher punshment for poachers. Previous articleWill Vilane make North Pole history?